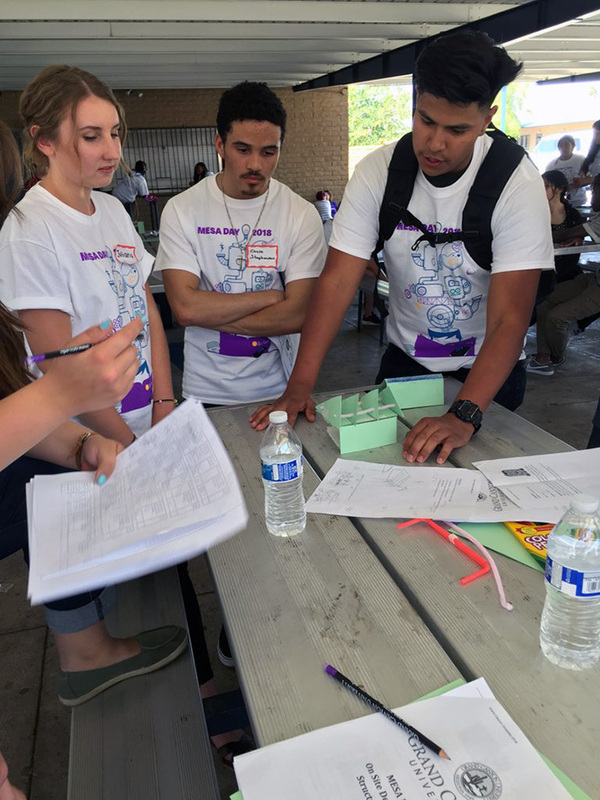 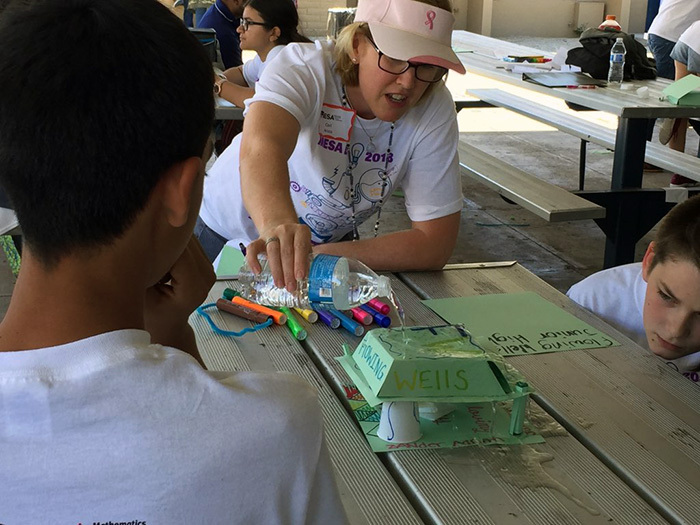 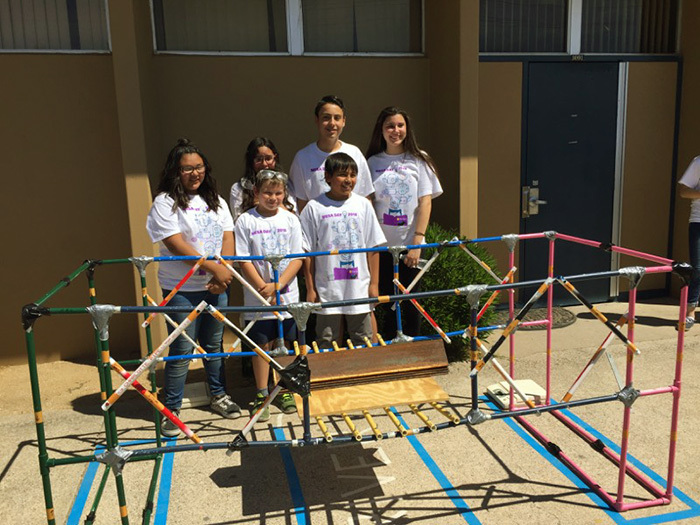 GCU’s Strategic Educational Alliances hosted Mathematics Engineering Science Achievement Day recently at Apollo High School in the Glendale Unified School District. 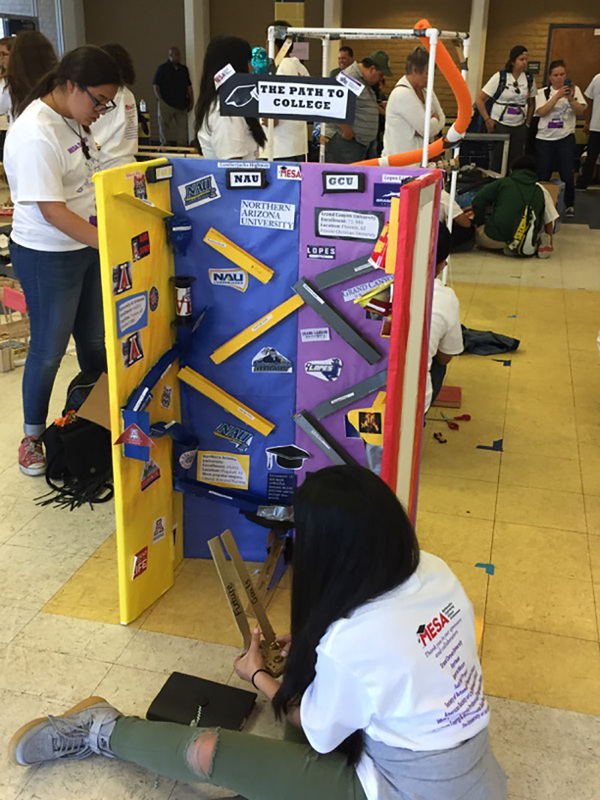 This was the annual statewide competition for middle and high schools enrolled in MESA. 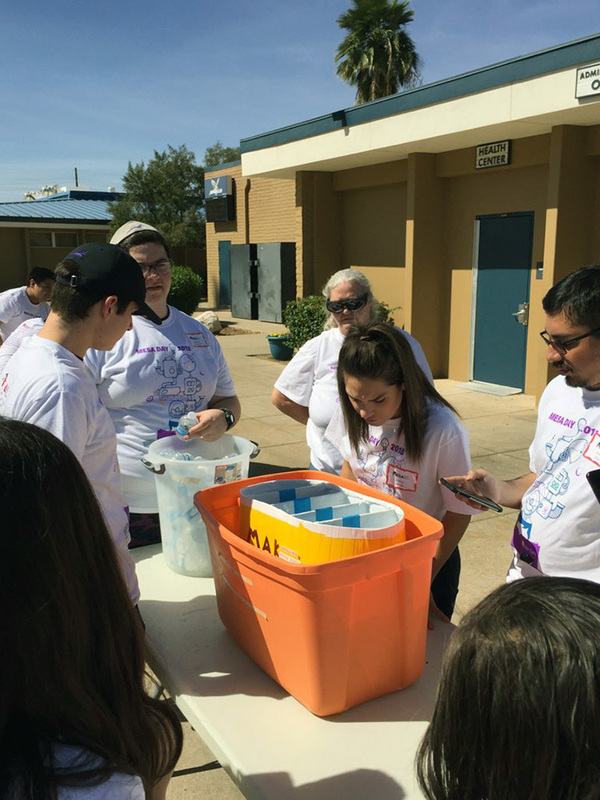 Teams presented their designs in response to nine engineering design challenges provided by Arizona MESA, from a golf ball delivery challenge to a duct tape/cardboard canoe event and a cellphone accessory design challenge. 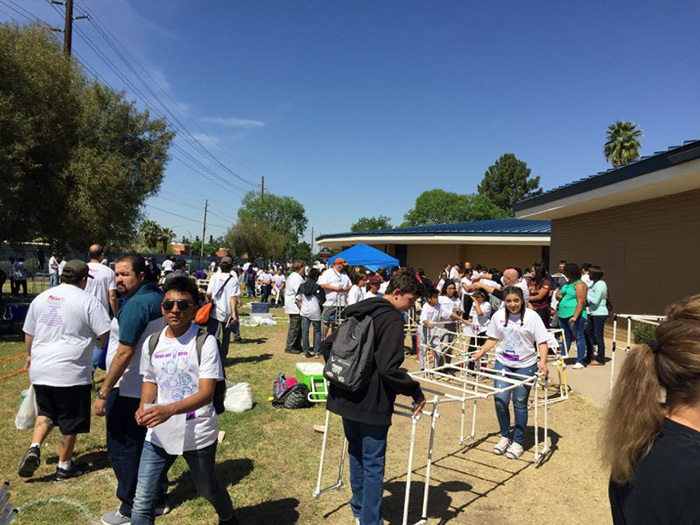 More than 45 GCU student volunteers helped with this event. 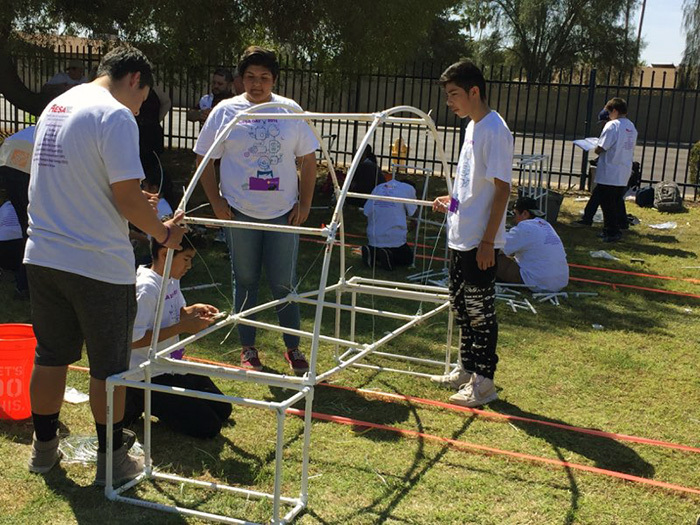 Also attending were GCU’s chapter of HOSA-Future Health Professionals, as well as members of the Innovative Computing and Robotics clubs.